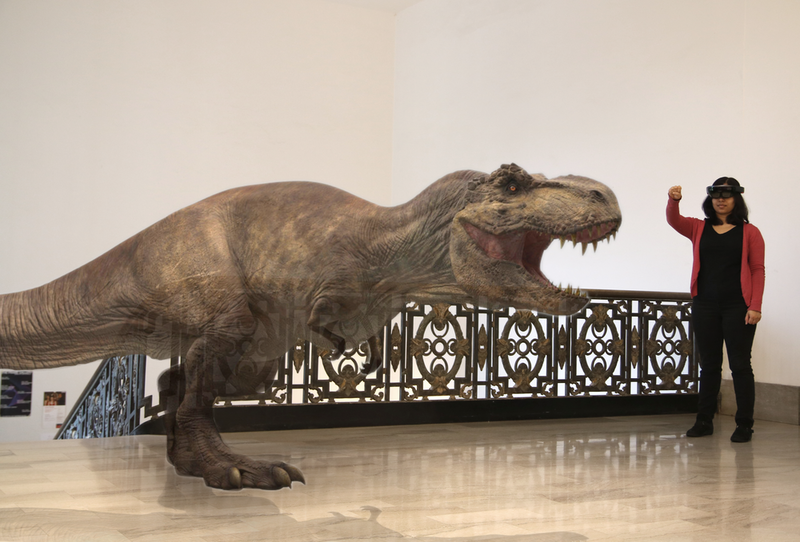 Dinosaur Passage is a dynamic and evolving experience that allows for deeper understanding, interaction, and connection with the Carnegie Museum of Natural History. 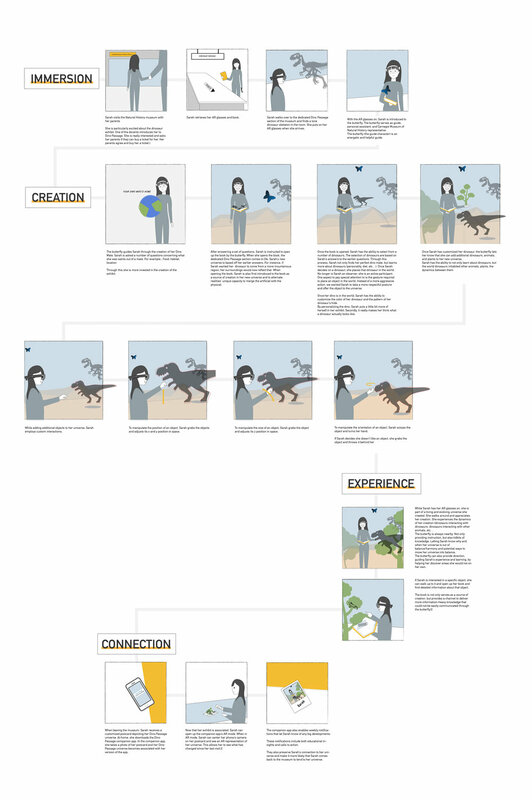 Through user-centered design, create novel experiences for Carnegie Museum of Natural History visitors that enable meaningful engagement and encourage a deeper connection to the museum. We started off the project by doing some preliminary research on museums and museum visitors through Secondary Research and Surveys. We then moved on to doing more direct research with visitors using discreet methods like Fly-on-the-Wall and Shadowing. We also did Expert Interviews with the CMNH Museum officials like the Director of Education and Director of Exhibitions. Museum visits are a special experience. They are not regular occurrences. They can forge connection and traditions in families. Museums are considered as places for learning. For local visitors, they are a connection to the past (ongoing relationship with museum). "People refer to the bird exhibit as the nostalgic hallway. It's the same as when they were kids." "I view the museum as a place for learning. " about the difficulties associated with serving such a wide range of visitors. 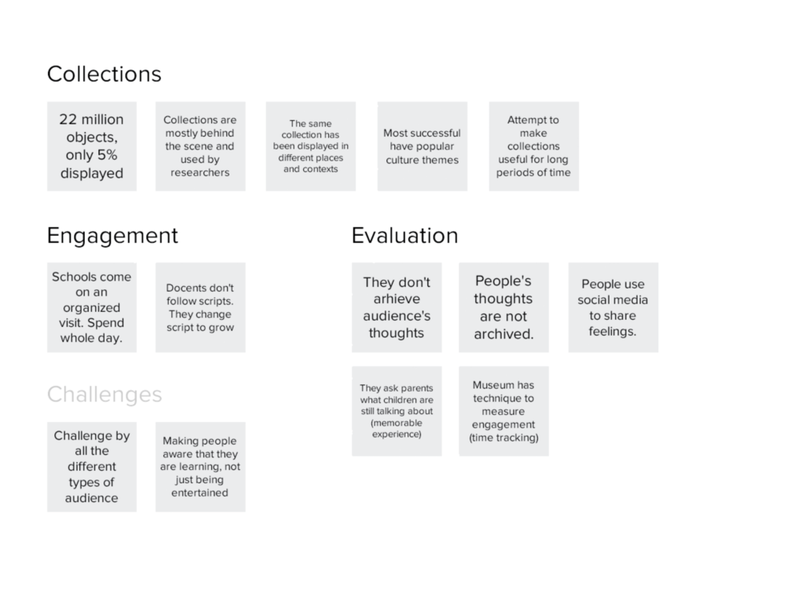 that the museum wants to engage individuals in ways they are engaged outside the museum(popular culture). that the museums want to make their visitors aware that they are not only enjoying themselves, but learning as well when visiting the museum. "The museum is interested in what children retain from the visit to the museum. " 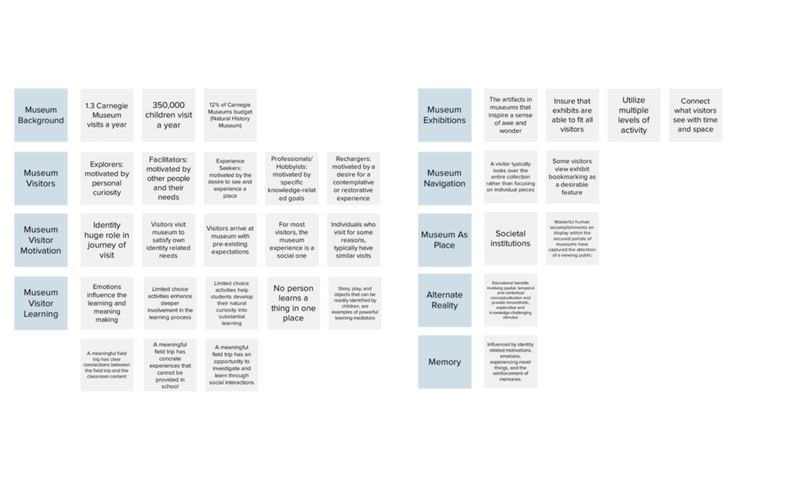 We propose dynamic exhibits to make the museum experience generative and highly personalized which in turn makes the museum more like “my place.” We change the stance of the visitor from a passive observer to an active participant in the museum. We decided to take the Microsoft Hololens as the baseline technology. The Hololens has limitations of narrow FOV, limited sensor capability and bulky size. However, based on our research we believe that as the tech builds out a number of these issues will be resolved along with a dip in the price point. Our interaction concepts our based on ideal principles of spatial interfaces and interacting using our hands. Designing an augmented reality experience presented us with its own set of challenges. We used the Unity game engine that supports AR development in Hololens, ARkit, etc. It's a powerful game engine but the initial learning curve for it was steep and we had a number of issues designing with Unity for the Hololens. We used 3D models from the SketchFab library. Our final prototype was built using Vuforia, Unity with post-production in After-Effects. The book started taking shape in conjunction with our AR prototype with details for the AR markers. 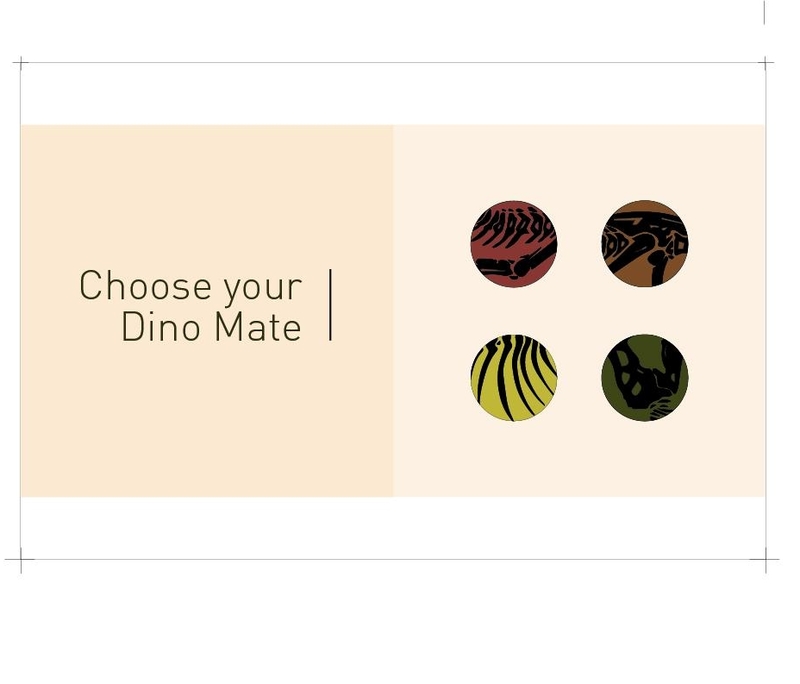 Dinosaur Passage is a dynamic and evolving experience that allows for deeper understanding, interaction, and connection with the Carnegie Museum of Natural History. We take advantage of alternate realities’ unique capacity to merge the artificial with the physical, by bringing alive the environments museums reproduce. Through this, visitors become creators and builders of universes existing within a museum. Generating more immersive learning opportunities and extended engagements between museums and their visitors. The butterfly serves as guide, personal assistant, and Carnegie Museum of Natural History representative. The butterfly is an energetic and helpful guide. Museums are places of learning. We believe learning by doing is its most effective form. Through AR, books become a medium for a more active learning. Books take their readers into other worlds. We play off of this and utilize our book as a passage to an alternate universe. Once her exhibit is associated with companion app, Sarah can open up the companion app’s AR mode. When in AR mode, Sarah can center her phone’s camera on her postcard and see an AR representation of her universe. This allows her to see what has changed since her last visit. While exploring possible concepts, our team researched both AR and VR technology. We eventually settled on Mixed Reality, because of it’s ability to merge the physical with the digital. While still relatively undeveloped, AR technology has the ability to dramatically change the ways we interact with the world. Today, AR technology has a number of limitations from its field of vision to the number of sensor inputs. Significant investment is being made in this field to overcome such limitations. We can also look at more developed VR technology to see just how AR will develop. AR technology also suffers from its high cost. This will change in the next couple of years. You can see from the chart on the right that today the AR industry is valued around 15 million, in only 8 years analysts are predicting the industry will be around 700 million. When the market reaches that level, AR technology will cost significantly less and have significantly lower limitations. Those exploring possible implementions of this technology today, will have a competitive advantage over their competitors when this technology is more mainstream and developed. We aimed to prototype a Hololens app with Unity, so that we could demo our concept to promote a deeper understanding of our concept within our team as well as to potential audience and clients. Initially, we watched the Microsoft Mixed Reality Academy online course tutorial. The course provided a basic understanding of how Hololens and Mixed Reality Apps are created, such as gesture and gaze interactions. The Microsoft Hololens Develop Environment is unfriendly for developers. While building a mixed reality app is not hard, especially with a pre-programed AR toolkit, the setting of the program environment was much more difficult than expected. Building Hololens App alsorequires Windows 10 system, Visual Studio 2017, Unity with Windows. Net programing platform, and AR toolkit plugin. Different versions of software sometimes conflict with each other, so the system has to be reset repeatedly, which is very time consuming. Hololens Emulator requires Hyper-V and hardware support, which is not available in Mac system. So, the emulator could not be used to preview my program on the Laptop. Remote export the program in Hololens is unstable, thus a plugin USB wire had to be used, and put it on my head to test. This process is inconvenient and uncomfortable. Since we had the concept to create a book that allows for interaction, for example the pulling of an object out of a book. To achieve this we explored Vuforia, a unity library, to build our prototype. 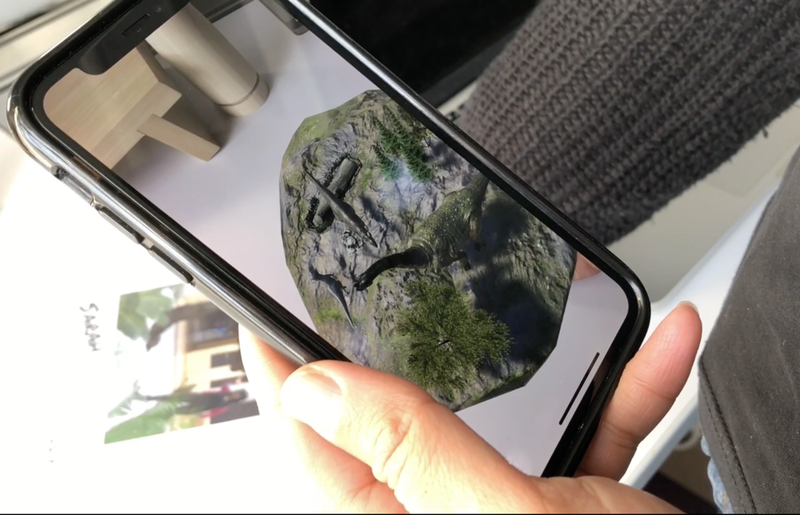 Vuforia mainly supports Augmented Reality with marker recognition, but its functionality is limited when compared with Apple ARkit or Google ARcore. The Vuforia development environment is more friendly to developers, and with a few online tutorials, it could be handled and used to create the App. The last version of unity doesn’t support Vuforia for Hololens, which is frustrating. So we had to download the older version of Unity to make it work. Even help from a student at the ETC (Entertainment Technology Center) building the app in Hololens was not possibe. But our IOS development was successful and we were able to create a functional AR app with Unity and Vuforia.